Hope you all had an awesome night last night celebrating the New Year! I haven't done a wedding Wednesday post in awhile so when I stumbled across this picture, I new this was the one I would bring it back with. I'm not sure exactly the whereabouts or date this image was taken, but if this couple had their wedding on New Years Eve, that would be pretty incredible! 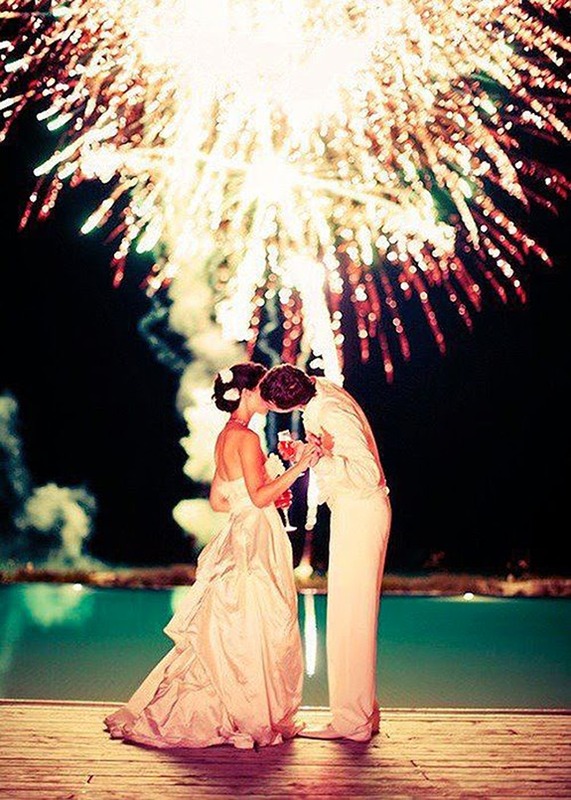 This would be the perfect way to end your special day in front of your friends and family with a sky full of colourful lights. May 2014 be filled with love, happiness, good fortune and of course fireworks!